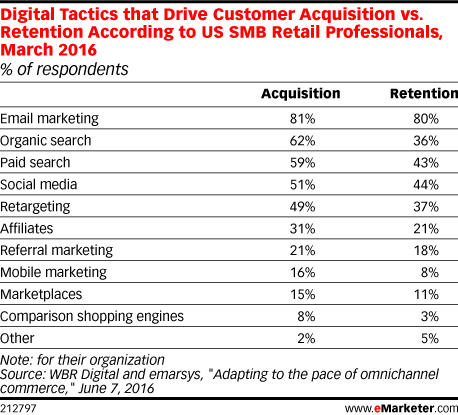 Data is from the June 2016 WBR Digital and emarsys report titled "Adapting to the pace of omnichannel commerce." 254 US SMB retail professionals were surveyed in-person and online during February-March 2016. SMBs were defined as companies with annual revenues under $100 million. WBR Digital is a content marketing and demand generation services provider. emarsys is an email marketing automation service provider.